Do you love silent nights? Nights that are so calm and soothing that tend to guarantee awesome dreams might be hard to experience if you are a snorer. Snoring can be so unpleasing and that is why there are so many snoring aids in the market; my work now becomes to help you find the best that works. VitalSleep FDA Cleared Anti Snoring Mouthpiece is one device that might change your nights to what most snorers just dream to have. So I am advising you to read this review very keenly so that you can get the most out of it. VitalSleep Anti Snoring Mouthpiece is a product that has been on the shelves for quite some time now and to be sincere people love it. I have also used my snoring solution when I started gaining interest in curing my snoring habit and it worked out for me. But I wanted to try something small; something that will not be noticeable when I have it on and a snoring device that also delivers results quickly. What is VitalSleep – FDA Cleared Anti Snoring Mouthpiece? VitalSleep is a product of The Snore Reliever Company, LLC. The Anti Snoring Mouthpiece is manufactured, assembled and packed in the United States of America and it is cleared by the FDA. The makers of VitalSleep believe that every person is unique and that’s why they aim to offer the ultimate innovative, cost-effective snore deterrents and sleep aids in the market. VitalSleep is designed to hold your lower jaw in a forward position, which will keep your airways open during sleep. You should know that a closed and obstructed airway, combined with a relaxed and dropped jaw, is the major cause of snoring. That is why if you really want to cure your snoring habit, you might want to try an anti-snoring solution that holds your chin in the appropriate position. What I like the most about VitalSleep is that it not only helps you stop snoring, but it also ensures you breathe in plenty of air throughout the entire time that you are asleep. Improve Relationships: Stop your snoring from keeping your spouse or bed partner awake and restore intimacy in the bedroom. Different varieties: Available in regular sizes for men and small size for women. Restful, Quiet Sleep Guaranteed: VitalSleep treats your snoring by opening your airway. Safe and Effective: Patented and FDA-cleared to treat the root cause of snoring for improved breathing and healthier sleep. It’s also latex and BPA free. Adjustable and Comfortable: Custom fit allows for quiet breathing without costly doctor visits, surgery or weird anti-snoring devices. 1 YEAR OF FREE REPLACEMENTS: One full year of unconditional product warranty & 100% satisfaction guarantee. The mouthpiece design has crevices that can manifest bacteria. So, scrubbing it thoroughly is essential. The sound you release when you are asleep that is commonly known as snoring is mostly because of trying to breathe through the obstructed airways. VitalSleep holds your lower jaws forward keeping your airways open and clear while you sleep. That way, you are able to eliminate the snoring and eventually have a more silent and restful night. Why do I need to stop snoring? Snoring prevents you from staying in a deeper stage of sleeping since it deprives your body enough oxygen supply, which might in the long term affect your health generally. Snoring also distracts those sleeping beside you; it might be your spouse or just a friend whom you are sharing the bed with. So, you might want to stop snoring or cure snoring so that you may have peaceful nights for you and those sleeping next to you. I have seen cases of rejection for people who snore at night and I don’t even want to imagine the feeling. You are in a friends gathering but most of the time you will be isolated by everyone sighting that they are not comfortable sleeping with a person who snores. That is why I decided to find a solution that you can try and you might be on your way to having normal silent nights. VitalSleep Anti Snoring Mouthpiece is an anti-snoring device that helps you to stop snoring so effectively. 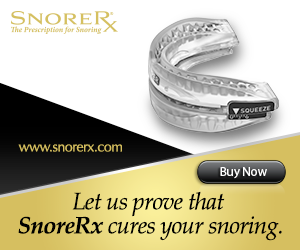 To find the best solution for snoring you should understand why you snore when sleeping. It might be because of your sleeping position, inadequate air supply or when you sleep with your mouth open. The early you know what causes you to snore the early you will get a solution for it. VitalSleep is mainly used to help you have a good supply of air by clearing your airways. So, you might want to go for this product if you have breathing problems or if the cause your snoring habit is due to lack of enough air supply. VitalSleep looks more like a gadget than a mouthpiece to me but it is due to its features like the hinge that make it seem that way. But after trying it and checking out real-time reviews from friends and also online reviews, I can confidently say that it is the best Anti Snoring Mouthpiece in the market. What makes it stand out for me is the side-to-side moving capabilities that it has, this makes it easy to wear and sleep with. So, try today and you might be on your way to silent nights forever.